Dr Hunt explains the great monetary experiment. It will be historic, no matter what the result. Summary: On the FM website we have followed the evolution of the great monetary experiment. After four years we have mostly questions. What have been the beneficial effects, and how large? What have been the ill effects today and in the future? Does quantitative easing act like an addictive drug? Today’s post by Lacy Hunt gives one perspective on these answers. Only time will tell how the experiment ends; the result will change history. Graphics and links have been added to Dr. Hunt’s article. The Fed’s capabilities to engineer changes in economic growth and inflation are asymmetric. It has been historically documented that central bank tools are well suited to fight excess demand and rampant inflation; the Fed showed great resolve in containing the fast price increases in the aftermath of World Wars I and II and the Korean War. In the late 1970s and early 1980s, rampant inflation was again brought under control by a determined and persistent Federal Reserve. First, the Fed’s forecasts have consistently been too optimistic, which indicates that their knowledge of how LSAP operates is flawed. LSAP obviously is not working in the way they had hoped, and they are unable to make needed course corrections. Second, debt levels in the U.S. are so excessive that monetary policy’s traditional transmission mechanism is broken. Third, recent scholarly studies, all employing different rigorous analytical methods, indicate LSAP is ineffective. Fourth, the velocity of money has slumped, and that trend will continue — which deprives the Fed of the ability to have a measurable influence on aggregate economic activity and is an alternative way of confirming the validity of the aforementioned academic studies. If the Fed were consistently getting the economy right, then we could conclude that their understanding of current economic conditions is sound. However, if they regularly err, then it is valid to argue that they are misunderstanding the way their actions affect the economy. During the current expansion, the Fed’s forecasts for real GDP and inflation have been consistently above the actual numbers. Late last year, the midpoint of the Fed’s central tendency forecast projected an increase in real GDP of 2.7% for 2013 — the way it looks now, this estimate could miss the mark by nearly 50%. One possible reason why the Fed have consistently erred on the high side in their growth forecasts is that they assume higher stock prices will lead to higher spending via the so-called wealth effect. The Fed’s ad hoc analysis on this subject has been wrong and is in conflict with econometric studies. The studies suggest that when wealth rises or falls, consumer spending does not generally respond, or if it does respond, it does so feebly. During the run-up of stock and home prices over the past three years, the year-over-year growth in consumer spending has actually slowed sharply from over 5% in early 2011 to just 2.9% in the four quarters ending Q2. Reliance on the wealth effect played a major role in the Fed’s poor economic forecasts. LSAP has not been able to spur growth and achieve the Fed’s forecasts to date, and it certainly undermines the Fed’s continued assurances that this time will truly be different. Another impediment to LSAP’s success is the Fed’s failure to consider that excessive debt levels block the main channel of monetary influence on economic activity. Scholarly studies published in the past three years document that economic growth slows when public and private debt exceeds 260% to 275% of GDP. In the U.S., from 1870 until the late 1990s, real GDP grew by 3.7% per year. It was during 2000 that total debt breached the 260% level. Since 2000, growth has averaged a much slower 1.8% per year. Once total debt moved into this counterproductive zone, other far-reaching and unintended consequences became evident. The standard of living, as measured by real median household income, began to stagnate and now stands at the lowest point since 1995. Additionally, since the start of the current economic expansion, real median household income has fallen 4.3%, which is totally unprecedented. Moreover, both the wealth and income divides in the U.S. have seriously worsened. Over-indebtedness is the primary reason for slower growth, and unfortunately, so far the Fed’s activities have had nothing but negative, unintended consequences. Another piece of evidence that points toward monetary ineffectiveness is the academic research indicating that LSAP is a losing proposition. The United States now has had five years to evaluate the efficacy of LSAP, during which time the Fed’s balance sheet has increased a record fourfold. It is undeniable that the Fed has conducted an all-out effort to restore normal economic conditions. However, while monetary policy works with a lag, the LSAP has been in place since 2008 with no measurable benefit. This lapse of time is now far greater than even the longest of the lags measured in the extensive body of scholarly work regarding monetary policy. Three different studies by respected academicians have independently concluded that indeed these efforts have failed. These studies, employing various approaches, have demonstrated that LSAP cannot shift the Aggregate Demand (AD) Curve. The AD curve intersects the Aggregate Supply Curve to determine the aggregate price level and real GDP and thus nominal GDP. The AD curve is not responding to monetary actions, therefore the price level and real GDP, and thus nominal GDP, are stuck — making the actions of the Fed irrelevant. The papers I am talking about were presented at the Jackson Hole Monetary Conference in August 2013. Dr. Hall also wrote the following about the large increase in reserves to finance quantitative easing: “An expansion of reserves contracts the economy.” In other words, not only have the Fed not improved matters, they have actually made economic conditions worse with their experiments. Additionally, Dr. Hall presented evidence that forward guidance and GDP targeting both have serious problems and that central bankers should focus on requiring more capital at banks and more rigorous stress testing. The next paper is by Hyun Song Shin, another outstanding monetary theorist and econometrician and holder of an endowed chair at Princeton University. He looked at the weighted-average effective one-year rate for loans with moderate risk at all commercial banks, the effective Fed Funds rate, and the spread between the two in order to evaluate Dr. Hall’s study. He also evaluated comparable figures in Europe. In both the U.S. and Europe these spreads increased, supporting Hall’s analysis. Dr. Shin also examined quantities such as total credit to U.S. non-financial businesses. He found that lending to non-corporate businesses, which rely on the banks, has been essentially stagnant. Dr. Shin states, “The trouble is that job creation is done most by new businesses, which tend to be small.” Thus, he found “disturbing implications for the effectiveness of central bank asset purchases” and supported Hall’s conclusions. Dr. Shin argued that we should not forget how we got into this mess in the first place when he wrote, “Things were not right in the financial system before the crisis, leverage was too high, and the banking sector had become too large.” For us, this insight is highly relevant since aggregate debt levels relative to GDP are greater now than in 2007. Dr. Shin, like Dr. Hall, expressed extreme doubts that forward guidance was effective in bringing down longer-term interest rates. The last paper is by Arvind Krishnamurthy of Northwestern University and Annette Vissing-Jorgensen of the University of California, Berkeley. They uncovered evidence that the Fed’s LSAP program had little “portfolio balance” impact on other interest rates and was not macro-stimulus. A limited benefit did result from mortgage-backed securities purchases due to the announcement effects, but even this small plus may be erased once the still unknown exit costs are included. The last problem the Fed faces in their LSAP program is their inability to control the velocity of money. The AD curve is planned expenditures for nominal GDP. Nominal GDP is equal to the velocity of money (V) multiplied by the stock of money (M), thus GDP = M x V. This is Irving Fisher’s equation of exchange, one of the important pillars of macroeconomics. V peaked in 1997, as private and public debt were quickly approaching the nonproductive zone. Since then it has plunged. 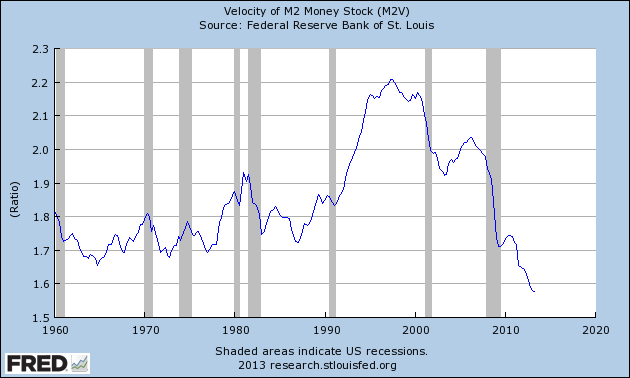 The level of velocity in the second quarter is at its lowest level in six decades. By allowing high debt levels to accumulate from the 1990s until 2007, the Fed laid the foundation for rendering monetary policy ineffectual. Thus, Fisher was correct when he argued in 1933 that declining velocity would be a symptom of extreme indebtedness just as much as weak aggregate demand. Fisher was able to make this connection because he understood Eugen von Böhm-Bawerk’s brilliant insight that debt is future consumption denied. Also, we have the benefit of Hyman Minsky’s observation that debt must be able to generate an income stream to repay principal and interest, thereby explaining that there is such a thing as good (productive) debt as opposed to bad (non-productive) debt. Therefore, the decline in money velocity when there are very high levels of debt to GDP should not be surprising. Moreover, as debt increases, so does the risk that it will be unable to generate the income stream required to pay principal and interest. The Fed’s relentless buying of massive amounts of securities has produced no positive economic developments, but has had significant negative, unintended consequences. For example, banks have a limited amount of capital with which to take risks with their portfolio. With this capital, they have two broad options: First, they can confine their portfolio to their historical lower-risk role of commercial banking operations — the making of loans and standard investments. With interest rates at extremely low levels, however, the profit potential from such endeavors is minimal. Second, they can allocate resources to their proprietary trading desks to engage in leveraged financial or commodity market speculation. By their very nature, these activities are potentially far more profitable but also much riskier. Therefore, when money is allocated to the riskier alternative in the face of limited bank capital, less money is available for traditional lending. This deprives the economy of the funds needed for economic growth, even though the banks may be able to temporarily improve their earnings by aggressive risk taking. Perversely, confirming the point made by Dr. Hall, a rise in stock prices generated by excess reserves may sap, rather than supply, funds needed for economic growth. It is difficult to determine for sure whether funds are being sapped, but one visible piece of evidence confirms that this is the case: the unprecedented downward trend in the money multiplier. The money multiplier is the link between the monetary base (high-powered money) and the money supply (M2); it is calculated by dividing the base into M2. Today the monetary base is $3.5 trillion, and M2 stands at $10.8 trillion. The money multiplier is 3.1. 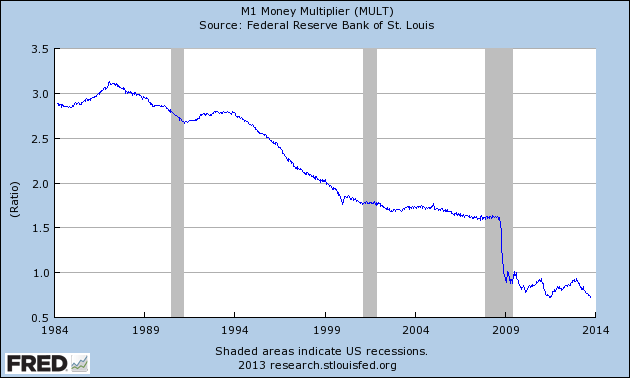 In 2008, prior to the Fed’s massive expansion of the monetary base, the money multiplier stood at 9.3, meaning that $1 of base supported $9.30 of M2. If reserves created by LSAP were spreading throughout the economy in the traditional manner, the money multiplier should be more stable. However, if those reserves were essentially funding speculative activity, the money would remain with the large banks and the money multiplier would fall. This is the current condition. The September 2013 level of 3.1 is the lowest in the entire 100-year history of the Federal Reserve. Until the last five years, the money multiplier never dropped below the old historical low of 4.5 reached in late 1940. Thus, LSAP may have produced the unintended consequence of actually reducing economic growth. Stock market investors benefited, but this did not carry through to the broader economy. The net result is that LSAP worsened the gap between high- and low-income households. When policy makers try untested theories, risks are almost impossible to anticipate. Economic growth should be very poor in the final months of 2013. Growth is unlikely to exceed 1% — that is even less than the already anemic 1.6% rate of growth in the past four quarters. Marked improvement in 2014 is also questionable. Nominal interest rates have increased this year, and real yields have risen even more sharply because the inflation rate has dropped significantly. Due to the recognition and implementation lags, only half of the 2013 tax increase of $275 billion will have been registered by the end of the year, with the remaining impact to come in 2014 and 2015. Additionally, parts of this year’s tax increase could carry a negative multiplier of two to three. Currently, many of the taxes and other cost burdens of the Affordable Care Act are in the process of being shifted from corporations and profitable small businesses to households, thus serving as a de facto tax increase. In such conditions, the broadest measures of inflation, which are barely exceeding 1%, should weaken further. Since LSAP does not constitute macro-stimulus, its continuation is equally meaningless. 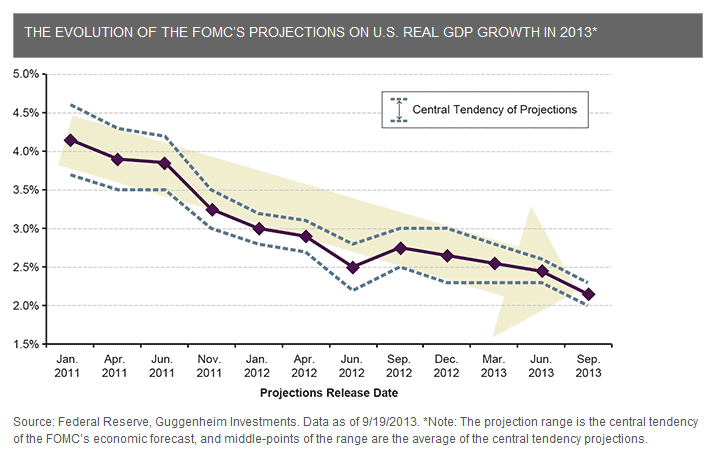 Therefore, the decision of the Fed not to taper makes no difference for the outlook for economic growth. Lacy H. Hunt, an internationally known economist, is Executive Vice President of Hoisington Investment Management Company, a firm that manages over $5 billion for pension funds, endowments, insurance companies and others. Lacy Hunt is the author of two books, and numerous articles in leading magazines, periodicals and scholarly journals. Included among the publishers of his articles are. Barron’s, The Wall Street Journal, The New York Times, The Christian Science Monitor, the Journal of Finance, the Financial Analysts Journal and the Journal of Portfolio Management. From his bio at the Casey Research website. Tim Duy explains how QE3 represents two change of Bernanke’s policies. Previous Post In “Network”, Howard Beale asks us to get mad and do something. He’s still waiting. Next Post Let’s learn about hyperinflation. Who knows what the future holds for us? A reference would be nice here. That Reinhart/Rogoff study was widely discredited due to errors, and I’d like to know it’s not this thing bubbling up again. I too wondered about that. The work I am familiar with concerns public debt, not total debt (public and private). That is the subject of Reinhart & Rogoff, and the April 2013 report by the IMF. However, I think it is an exaggeration to say that R&R has been discredited. It had errors, like most cutting edge work. The authors exaggerated their findings, VERY common in science. Those who did not like their conclusions still do not like their conclusions. Their defense in an NYT op-ed seemed reasonable to me. Especially salient is that their findings have been broadly replicated by others. Note that they ignore what is IMO the most important critique: their exaggeration of their findings. Section 3 contains the money chart. In the Great Depression, the debt/GDP ratio peaked at ~320%, but only after GDP cratered, thus bringing down the denominator in the ratio. After peaking, debt dropped like a rock throughout the 30s and beyond. Post 2008, there has be little deleveraging. The Federal Government, aided by the Federal Reserve, has been desperately trying to keep total debt (private + public) constant if not trying to make it grow outright. Because we are NOT reducing the debt/GDP ratio, we are a lot closer to 1930 than we are to 1937 or 1945. Another chart worth posting is the amount marginal dollars of debt required to created marginal dollars of GDP. Post WW2 the economy could generate an additional $3-$5 of GDP for every $1 increase in debt. The ratio has declined ever since — now there is virtually zero GDP growth that results from any increase in debt. 1. Massive public/private default and restructuring such as occurred during GD2 — with a painful drop in GDP to go with it. This is the path we have purposely avoided in the US. Southern European nations are trying this approach, although not by choice. 2. A major “hot” war. War is balance sheet restructuring by other means. Yes, the stimulus spending of WW2 helped the US emerge from GD2, but the US economy was helped by the balance sheet destruction inflicted upon Germany, Japan, France, Italy and the UK. Assets were destroyed, and debts were wiped out by post WW2 inflation in the countries most impacted by WW2. This clearing of global balance sheets paved the way for a resumption of global economic growth. The US was in a prime position to capitalize — and it did. Despite US involvement in Iraq/Afghanistan/etc, these wars don’t qualify as a WW2-level event. 3. A major currency war (declared or undeclared) that results in the destruction of the Yen and/or Euro as reserve currencies. Today the hegemony of the USD and USD-denominated financials assets are challenged only (and weakly) by Euro and Yen-based assets. If either the Euro or the Yen were to be further weakened as reserve currencies, the need for USD-denominated debt instruments grows. If/as the Eurozone were to split-up, former Euro-based economies would likely become soft-pegged to USD a la most Asian economies. I believe LSAP, supported by the structure and depth of US financial markets, can be viewed as a front in a currency war. This is a major story, one that I have wanted to write about for years. Maria Fiorini Ramirez is a top economist. In the mid-1980s she worked for Drexel Burnham Lambert, and wrote a prescient paper. Like many such so far ahead of their time, it has been lost. She saw that the marginal efficiency of dent has been decreasing since debt hit a trough during the 1930s. She foresaw that this would continue — more debt added, but with less impact per each added dollar of debt. She foresaw a time when the economy hit its maximum carry capacity if debt, and the marginal effect would hit zero. At that point the post WW2 world would have ended. What followed none can say. The sluggish responses to stimulus following the 2000 and 2007 recessions suggests that we are near that point. I don’t have to explain second reason ( i really hope that there is no need for it), but first is a kind of a positive feedback loop. Increasing imports sped up as a product of attacking the role of the state by Reagan, dirigist role of the state especially. Market requiers state to make plans of future developement or it will slowly decelarate. While state was increasingly investing into military industrial complex, real developement lagged increasing the need for imports. Imports bring more money for banks to invest enriching managers of money who buy even more exotic imports-(fine imported vines, and other high luxury items). This feedback loop work also in other monetary systems, not only with fiat money systems. The reason that iraq/Afgan war did not have effectas WWII had on the economy was that there was no rationing of home consumption. Rationing of home consumption reised saving ammounts in WWII while others deleveraged trough other means. At the end of the WWII private sector deleveraged greatly opening the door for growth of debt. Debt grew in nominal terms but income grew faster so the ratio of GDP/debt was falling fast. Wage growth pushed inflation ever up which also eased growing debt burden. Increasing debt is rising monetary base which makes income growth that pays off debt and service. What Irving Fisher wrote about debt bringing income that will pay off itself is true, but interpretation of that as there is productive and nonproductive debt is quite wrong. Debt has to increase income, acctualy meaning wages not income specificaly from that particular debt. Totality of debt growth has to increase incomes/ wages in order to ease up debt burden. There is a bankruptcy that will solve income problem of a particular debt. Money supply growth / debt growth is self propeled mechanism as long as the wages are not prevented from growing. As long as nation wide effort to stifle unions and workers’ demand for income growth in line with inflation and productivity growth succeds in taking it away from workes, debt growth will pay off itself. 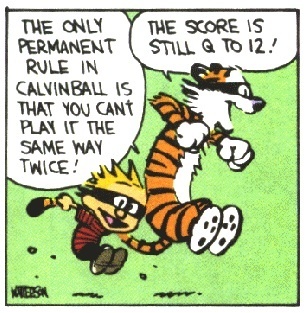 It is a mathematical certainty. Debt growth should increase savings and wages/ income which perpetuates more debt growth. Debt growth is increase of money supply, it is what textbook says and all central bankers and governors i linked to in previous post also say. In order for Euro or Yen or Yuan to have a part in reserve currency role there have to be printed at mass scale and sent out into the world. Other countries have to borrow in those and have them around the world floating. In order to borrow them, other countries have to import from Yen or Euro issuing states. Import from them in huge quantities, then there will be enough of those currencies around, but the fact is there is no enough imports that can be at the scale of the US. Us exported US military stations on huge scale filling the world with US$ enough to become reserve currency. What about a purposeful debt jubilee or massive restructuring/deleveraging? One idea I thought was useful was giving everyone a big check. If you have debts you can pay them off, if you dont you get cash in your pocket you can invest or spend.